Mary McHugh at the grave of her fiance Sgt. James John Regan, U.S. Army, who was killed by an IED explosion in Iraq in February 2007. 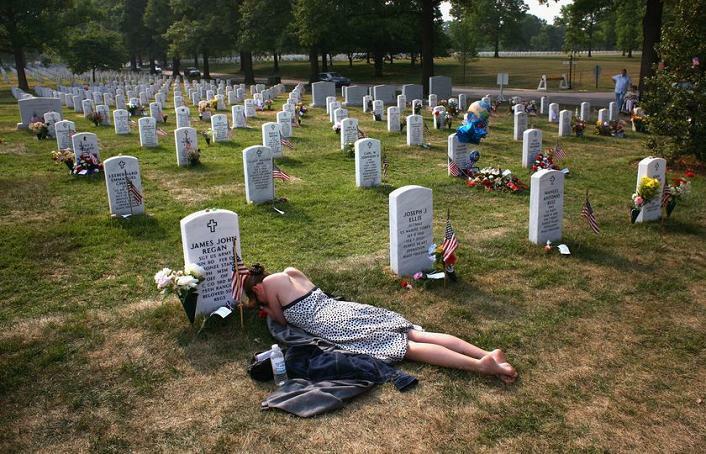 Photo by John Moore, taken May 27, 2007, at Arlington National Cemetery.